HOW TO ENTER THE ABOVE GIVEAWAY: No contribution is necessary. Call (919) 560-9628 between 8:00 a.m. and 9:00 p.m. EST Friday December 12, 2014 through Sunday, December 14, 2014 or contact us through the web at www.wncu.org. Donate online between 8:00am December 12, 2014 until December 31, 2014 at 11:59 p.m. EST. Limit one (1) entry per person. Multiple entries, if discovered, will be disqualified. ELIGIBILITY: Anyone 21 or over can enter the giveaway except persons who on or after January 1, 2012, were or are current employees of WNCU 90.7 FM, their immediate family, or persons living in the same household. The drawing is open to any United States resident 21 or older. Void where prohibited by law. PRIZE: Two (2) prize winners will receive one (1) $250 Visa Gift Card. The Visa Gift Card becomes the sole responsibility of the winner when it is collected. WNCU is not responsible for any fees, expiration and/or guarantee issues and the like. PRIZE REDEMPTION: To redeem the prize, simply come to the WNCU Office between business hours 8:00 a.m. through 5:00 p.m., Monday through Friday on or after January 6, 2015. Present official identification such as a driver’s license or a passport to verify your information. WNCU will release the prizes on January 6, 2015. Winners responsible for any and all costs associated with using the prize, including but not limited to associated fees and the like. Prize is nontransferable, is not good for cash, and cannot be exchanged for other merchandise. Winners will receive delivery of the prize as arranged by WNCU. SELECTION AND NOTIFICATION OF WINNER: Every eligible entry will be included in the drawing. On Monday, January 5, 2015 two (2) winners and four (4) alternate names will be randomly drawn from all eligible entries at 12 noon. The winner will be notified by e-mail and/or phone. If WNCU 90. 7 FM is unable to reach a winner or a winner is unable to accept the prize by 5:00 p.m. EST on Friday, February 6, 2015, then that unawarded prize will go to the first available back up thereof until the prize is awarded. The rules detailing giveaway eligibility and method of selecting winners are on file at WNCU 90.7 FM. The chances of winning are dependent upon the number of eligible entries. GENERAL: By participating in this Giveaway, participants agree to be bound by the Official Rules and that WNCU 90.7 FM and related organizations, their agents and employees have no liability whatsoever for any injuries, losses, or damages of any kind which result from use of the prize, or by participation in the giveaway. WNCU 90.7 FM or its related organizations may use winner’s name and likeness for advertising, fundraising, promotional or publicity purposes without further compensation. WNCU would like to photograph winner and prize for online marketing purposes only. Winner will be asked to sign a release form agreeing to be photographed and put on WNCU’s website. This is not required, but most appreciated. Expenses as a result of winning this prize are the responsibility of the winner. RESTRICTIONS: By participating in this Visa Gift Card Giveaway, a participant agrees to be bound by these Official Rules, and by all decisions of the giveaway sponsor. 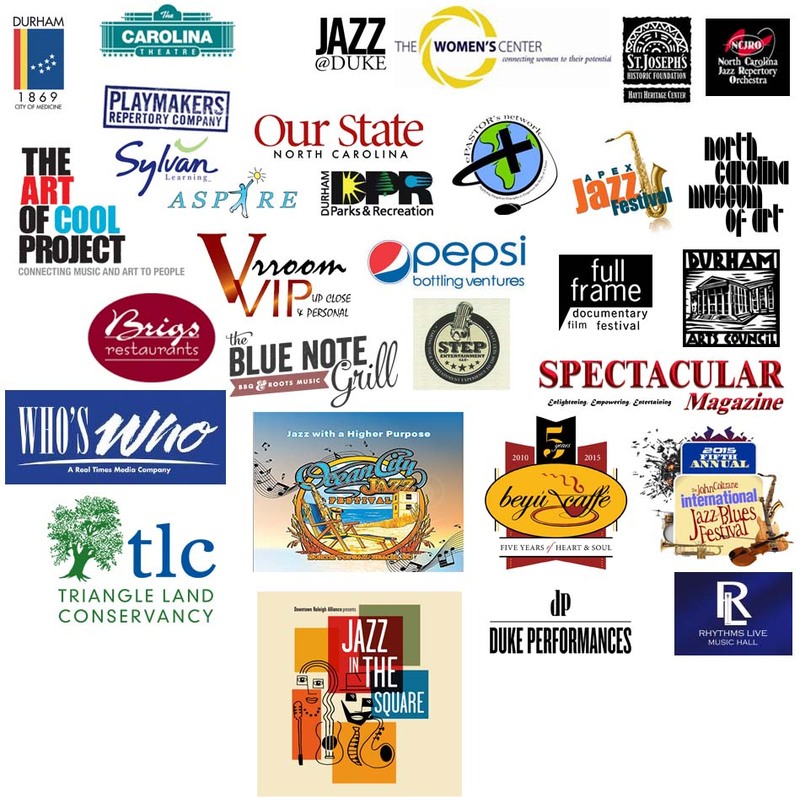 SPONSOR: WNCU 90.7 FM, 1801 Fayetteville Street, Durham, NC 27707, 919-530-7445. HOW TO ENTER THE ABOVE GIVEAWAY: No contribution or purchase is necessary. Call (919) 560-9628 between 8:00 a.m. and 10:00 p.m. EST Wednesday April 3, 2013 through Friday, April 12, 2013. Donate online between 8:00am March 5, 2013 until April 13, 2013 11:59 p.m. EST. Limit one (1) entry per person. Multiple entries, if discovered, will be disqualified. ELIGIBILITY: Anyone 21 or over can enter the giveaway except persons who on or after January 1, 2012, were or are employees of WNCU 90.7 FM, their immediate family, or persons living in the same household. The drawing is open to any United States resident 21 or older. Void where prohibited by law. PRIZE: One (1) prize winner will receive one (1) iPad Mini. 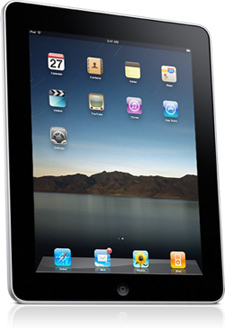 The iPad Mini becomes the sole responsibility of the winner when it is collected. WNCU is not responsible for any repairs, maintenance and/or warranty issues and the like. PRIZE REDEMPTION: To redeem the prize, simply come to the WNCU Office between business hours 8:00 a.m. through 5:00 p.m., Monday through Friday on or after May 31, 2013. Present official identification such as a driver’s license or a passport to verify your information. WNCU will release the prize on May 31, 2013. Winner is responsible for any and all costs associated with using the prize, including but not limited to maintenance and the like. Prize is nontransferable, is not good for cash, and cannot be exchanged for other merchandise. Winners will receive delivery of the prize as arranged by WNCU. SELECTION AND NOTIFICATION OF WINNER: Every eligible entry will be included in the drawing. On Friday, April 19, 2013 one (1) winner and three (3) back up names will be randomly drawn from all eligible entries at 12 noon. The winner will be notified by e-mail and/or phone. If WNCU 90. 7 FM is unable to reach a winner or a winner is unable to accept the prize by 5:00 p.m. EST on Tuesday, April 30, 2013, then that unawarded prize will go to the first available back up thereof until the prize is awarded. The rules detailing giveaway eligibility and method of selecting winners are on file at WNCU 90.7 FM. The chances of winning are dependent upon the number of eligible entries. RESTRICTIONS: By participating in this iPad Mini Giveaway, a participant agrees to be bound by these Official Rules, and by all decisions of the giveaway sponsor. How does the Buy Back work? Our Spring Fest Membership Campaign is scheduled to begin Wednesday, April 3, through Saturday, April 12. However, for every $8,000 in pledges received, we will shave a day off the drive. At WNCU, our goal is to give you more programming and less on-air fundraising whenever possible. Shaving off days from our Spring Fest Membership Campaign is one way to make that happen. But, we need your support today to begin that process. Does it have to be a 10-day drive? You’ll automatically be entered into a drawing to win an iPad Mini! The winner will be announced on May 3, 2013. Click here to read the official rules. We are days away from conducting our Spring Fest pledge drive which begins on April 11 and simultaneously we’re conducting a great drawing just for you! You have an opportunity to pledge on behalf our campaign to keep award winning programming accessible on our airwaves, and you also have a chance to participate in our drawing to win a new 16 GB Wifi iPad! Either way it is a win-win situation for you. Pledge today and you are automatically entered in the drawing. We’ll draw the name of one lucky winner on Monday, April 30, at noon. If you have already given through our online service or by mail, please accept our sincere thanks. You are already entered into the drawing. *No pledge is necessary to enter into the drawing. HOW TO ENTER THE ABOVE GIVEAWAY: No contribution or purchase is necessary. Call (919) 560-9628 between 7:00 a.m. and 10:00 p.m. EST Friday April 11, 2012 through Friday, April 20, 2012. Donate online between 7:00am April 11, 2012 until April 20, 2012 11:59 p.m. EST. Limit one (1) entry per person. Multiple entries, if discovered, will be disqualified. ELIGIBILITY: Anyone 21 or over can enter the giveaway except persons who on or after December 1, 2011, were or are employees of WNCU 90.7 FM, their immediate family, or persons living in the same household. The drawing is open to any United States resident 21 or older. Void where prohibited by law. PRIZE: One (1) prize winner will receive one (1) iPad. The iPad becomes the sole responsibility of the winner when it is collected. WNCU is not responsible for any repairs, maintenance and/or warranty issues and the like. PRIZE REDEMPTION: To redeem the prize, simply come to the WNCU Office between business hours 8:00 a.m. -5:00 p.m., Monday through Friday. Present official identification such as a driver’s license or a passport to verify your information. WNCU will release the prize on May 30, 2012. Winner is responsible for any and all costs associated with using the prize, including but not limited to maintenance. Prize is nontransferable, is not good for cash, and cannot be exchanged for other merchandise. Winners will receive delivery of the prize as arranged by WNCU. SELECTION AND NOTIFICATION OF WINNER: Every eligible entry will be included in the drawing. On Monday, April 30, 2012 one (1) winner and three (3) back up names will be randomly drawn from all eligible entries at 12 noon. The winner will be notified by e-mail and/or phone. If WNCU 90. 7 FM is unable to reach a winner or a winner is unable to accept the prize by 6:00 p.m. EST on Monday, May 7, 2012, then that unawarded prize will go to the first available back up thereof until the prize is awarded. The rules detailing giveaway eligibility and method of selecting winners are on file at WNCU 90.7 FM. The chances of winning are dependent upon the number of eligible entries. GENERAL: By participating in this Giveaway, participants agree to be bound by the Official Rules and that WNCU 90.7 FM and related organizations, their agents and employees have no liability whatsoever for any injuries, losses, or damages of any kind which result from use of the prize, or by participation in the giveaway. WNCU 90.7 FM or its related organizations may use winner’s name and likeness for advertising, fundraising, promotional or publicity purposes without further compensation. WNCU would like to photograph winner and prize for online marketing purposes only. Winner will be asked to sign a release form agreeing to be photographed and put on WNCU’s website. This is not required, but most appreciated. Expenses as a result of winning this prize are the responsibility of the winner. RESTRICTIONS: By participating in this iPad Giveaway, a participant agrees to be bound by these Official Rules, and by all decisions of the giveaway sponsor. Thus far, we have had an active year at WNCU! I am sure you are enjoying your longtime favorites like Democracy Now!, one of America’s most thought provoking radio news programs, accompanied by the familiar voice of BH Hudson Monday through Friday during the Morning Jazz program, along with Bob Parlocha overnight and specialty weekend programs like 8-Track Flashback, The Funk Show and Hallelujah Praise. Most recently, the House of Representatives voted to defund nationally distributed programs such as Democracy Now!, Tell Me More, Piano Jazz, Jazz Profiles and Jazz at Lincoln Center to name a few. The bill still must pass the Senate and get the President’s signature before becoming a law. However, today, this notion has cast some uncertainty on one of WNCU’s funding sources. So, what does that mean? It means we need your help now more than ever. Spring Fest 2011 is right around the corner, April 6-15. We are optimistic that our loyal listeners will band together and give their most generous gifts in support of keeping their favorite programs alive. Our members are a strong and reliable source of funding for WNCU. That is why, I’m asking you to consider your feelings about WNCU and the value that this public radio station has in your life. If you believe in the mission of WNCU, now is the time to show your appreciation. Please consider renewing your membership or giving an additional gift today. By doing so, you will ensure that we continue to do business as usual despite the possible congressional cuts. I hope you will pledge a gift, right now, online or mail your gift to: WNCU Membership Department, PO Box 3659, Durham, NC 27702. Thank you for listening to WNCU and for your support. There are among us special individuals whose commitment to the community organizations they care about goes far beyond the ordinary. Through your exemplary level of generosity to WNCU, you have shown that you are one of those special people. Every day we are bombarded with news of the economic crisis we face today. This, of course, is a concern for everyone. The crisis affects the way we all spend our time, our money and energy. Public radio stations depend heavily on financial support from individual donors, like you. In difficult times, we need your continued support. You are a huge part of the reason why we are here and we are more determined than ever to keep the programming services you love in place without fail. 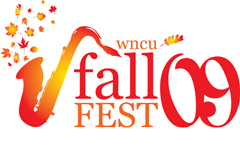 We are hopeful that all of our listeners will continue to stand with us and support our efforts as we campaign to keep WNCU on the airwaves during Fall Fest 2009 from October 12-18, 2009. WNCU provides an invaluable community service through our enriching radio programming. We offer listeners the highly praised favorites they look forward to hearing on WNCU: Morning, Afternoon and Evening Jazz; Democracy Now; 8-Track Flashback; and Hallelujah Praise, just to name a few. It is the programming we offer that has personally moved our volunteers to become members of the station. Our continued success depends in great measure on the generosity of loyal members and listeners. Please contribute today. Please click here to keep WNCU on your radio dial and online. The next WNCU Sunday Gospel Brunch at the historic Pan Pan Diner, located in Northgate Mall, is schedule for June 29th. Come join WNCU Hallelujah Praise host, “The Ole Chatham County Country Boy”, Walter Hatcher for a great meal and foot stompin’, hand clappin’ gospel music from 10am to 3pm. Gospel recording artist John Thorpe is scheduled to perform. A percentage of all sales will be donated to WNCU. WNCU-FM, public radio station 90.7 FM partnered with Hamilton Hill International Designer Jewelry of Durham’s trendy Brightleaf Square shopping district to host its’ newest endeavor, The WNCU Diamonds & Pearls Jewelry Auction and Social Friday, April 11th. This event was a huge success and assisted WNCU with their fundraising efforts during Renaissance XIV. Attendees participated in both a live and silent auction. The proceeds were donated to WNCU, plus a percentage of all sales from the evening. One-hundred percent of all proceeds from the raffle went to the station. Gift certificates in the amounts of $1,000; $500; $250 and $100 were awarded to the lucky listeners. The next WNCU Sunday Gospel Brunch at the historic Pan Pan Diner located in Northgate Mall is schedule for June 29th. Come join WNCU Hallelujah Praise host “The Ole Chatham County Country Boy” Walter Hatcher for a great meal and foot stompin’, hand clappin’ Gospel music from 10am to 3pm. Gospel recording artist John Thorpe is scheduled to perform. A percentage of all sales will be donated to WNCU. To view samples of Hamilton Hill jewelry, please click here. WNCU-FM, public radio station 90.7 FM will partner with Hamilton Hill International Designer Jewelry of Durham’s trendy Brightleaf Square shopping district to host its’ newest endeavor, The WNCU Diamonds & Pearls Jewelry Auction and Social Friday, April 11th from 6 p.m.-9 p.m. on location inside the jewelry store among cases of fabulous designer jewelry. The WNCU All Stars featuring guitarist Baron Tymas will set the mood with jazz and keep the event lively. Sumptuous fare will be provided by Catering by Design of Cary. Attendees are in for an exciting evening in the atmosphere of a live auction with celebrity auctioneers, ESPN U sports announcer Dwayne Ballen, and Time Warner Cable talk show host Gayle Hurd. Hamilton Hill, known for top quality jewelry and accessories from around the world, will donate items to be auctioned as well as give attendees a chance to win a precious pearl ring from Gellner Pearls. Hamilton Hill gift certificates worth up to $1000 will be raffled with 100 percent of the proceeds being donated to the station. The event is free and bidding is voluntary. Non-auction items are also available for purchase, with a percentage of the auctioned proceeds and sales of the evening going toward WNCU’s fundraising efforts. Neither sale nor auctioned items may be purchased with Hamilton Hill raffle gift-certificates. The WNCU Diamonds & Pearls Jewelry Auction and Social is an opportunity for listeners, sponsors and customers alike to support public radio and the important programming it provides. This pleasurable and elegant public radio fundraising experience is one in a series of efforts to raise non-traditional revenue streams for operational expenses at WNCU. Details on the WNCU, Hamilton Hill and the jewelry auction fundraiser are available on the web at www.wncu.org and www.hamiltonhilljewelry.com . For more information please contact Gayle Hurd at 919-539-8235 or [email protected] or Edith Thorpe at 530-6122 or [email protected].